Do not put yourself in danger. Our anonymous download feature is not yet broadly tested. Anonymous downloading is a new feature, barely a year old. We are sharing the design and code so that the community can test and evaluate it. This helps us make sure that it’s as secure as it needs to be before people start relying on it. Bittorrent offers no privacy protection. It is easily traced that you are downloading certain (controversial) content. Content is offered openly and everybody can see who is doing what. Dissidents and unpopular opinions can be easily discovered and subsequently stopped. All downloads now go through other computers. All direct contact with the Bittorrent swarm is gone. The proxy layer is simply a set of computers that relay messages between you and the Bittorrent swarm. However, you need to fully trust all these selected proxies, they can see exactly what you download. The proxies encrypt the data, only you can read it. Adding three layers of proxies gives you more privacy. Three layers of protection make it difficult to trace you. Proxies no longer need to be fully trusted. A single bad proxy can not see exactly what is going on. 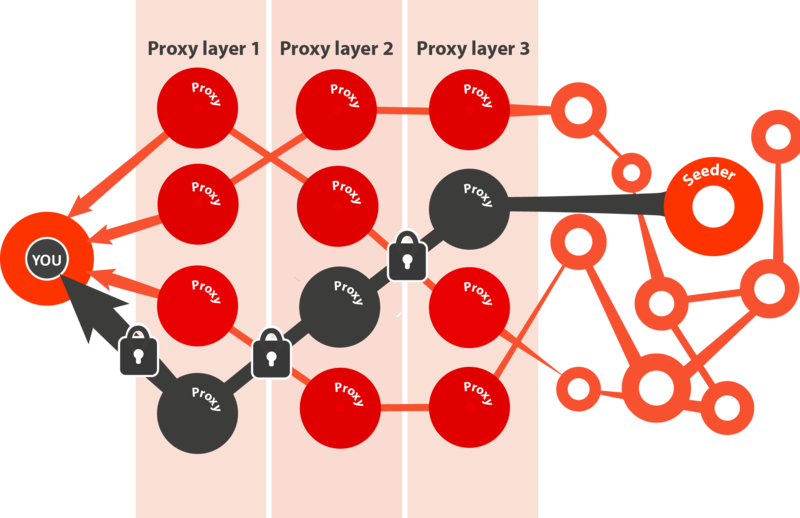 The first proxy layer encrypts the data for you and each next proxy adds another layer of encryption. You are the only one who can decrypt these three layers correctly. 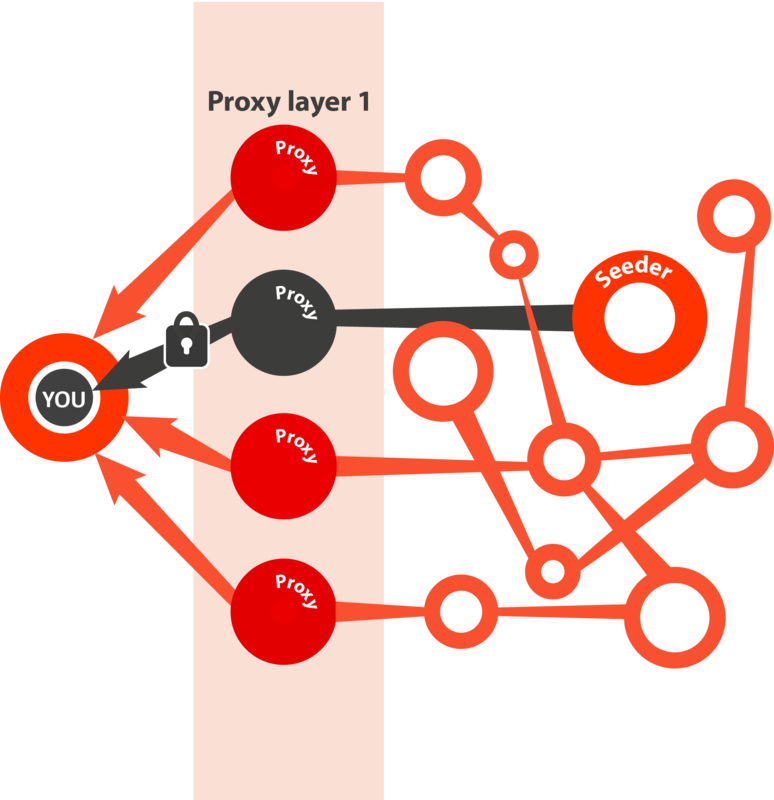 Tribler uses three proxy layers to make sure bad proxies that are spying on people can do little damage. Seeders are unprotected in the above steps. This version of Tribler includes experimental support for hidden seeding. Uploading is just as anonymous as downloading with hidden seeding. We now automatically add proxy layers for seeders, similar to steps 2 and 3 above.